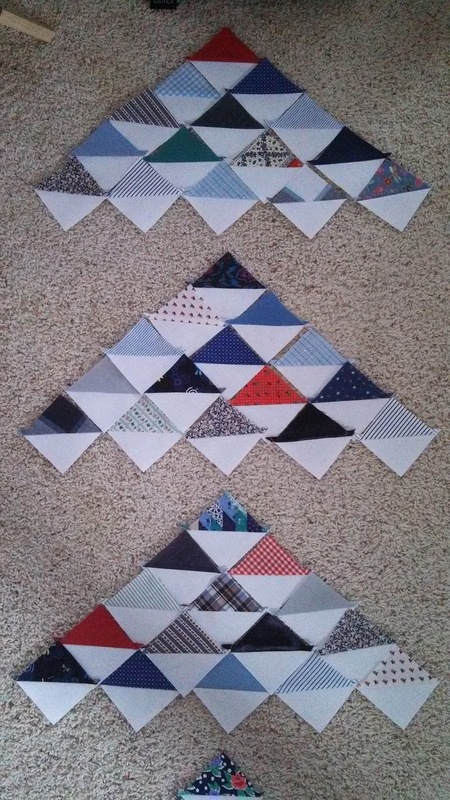 When looking for quilt ideas to use them, I found the “Point Me” quilt on Pinterest. It is a pattern by Denyse Schmidt (you can purchase the pattern here). The HSTs used solid white Moda Bella fabric, so I purchased more for the negative space of the quilt from The Stitchin’ Post in Willow Springs, MO. I purchased a red tiny floral print for the backing and a navy tiny floral print for the binding from Wal-Mart (the opposite combination as what was used on Quilt #2). This quilt, as well as the other two memory quilts, was quilted by Kathy Michel. I gave the quilt (along with this one and this one!) to Amanda when she came to visit us the weekend of May 2. 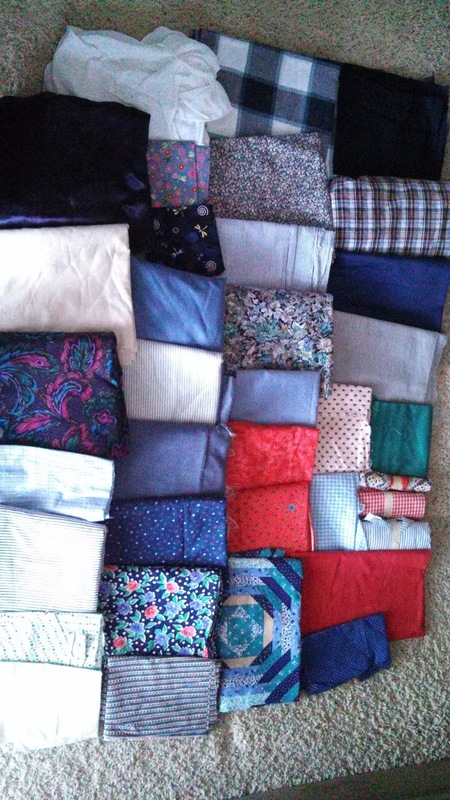 This is the largest of the three quilts. 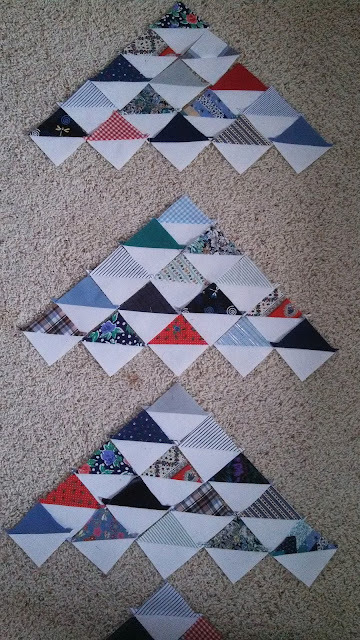 I love how so little of the memory fabrics were used, but they are still the prominent feature of the quilt.